Republican Senator says that the GOP is the "iPhone party"
Republican Senator Lamar Alexander from Tennessee, has turned smartphones into political symbols. 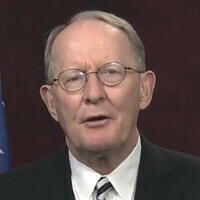 During the Republicans' weekly radio speech on Saturday, Alexander said that the government should be more like Apple. The senator said that Apple's products are designed "to create a happier, safer, more prosperous life." He added that, "Republicans want to enable and empower you. We want to be the iPhone party."